Ears Popping Too Often? | Ears, Nose & Throat | Andrew Weil, M.D. My ears periodically “pop.” Especially when I am nervous or talking. It is very frustrating and irritating. What causes this? Is the only way to clear it to “sniff” and then yawn or swallow? Ear popping is caused by pressure differences between the inside and outside of the eardrum. Air pressure in the middle ear usually is the same as the air pressure outside the body. Most people are familiar with the pressure changes (relieved by ear popping) that occur when you fly, travel to high altitudes, or dive underwater. Swallowing or yawning helps relieve the pressure by opening the Eustachian tube, which connects the middle ear to the back of the nose and upper throat. Opening the tube allows air to flow into or out of the middle ear and equalizes pressure on the eardrum. While annoying, this problem usually isn’t serious. 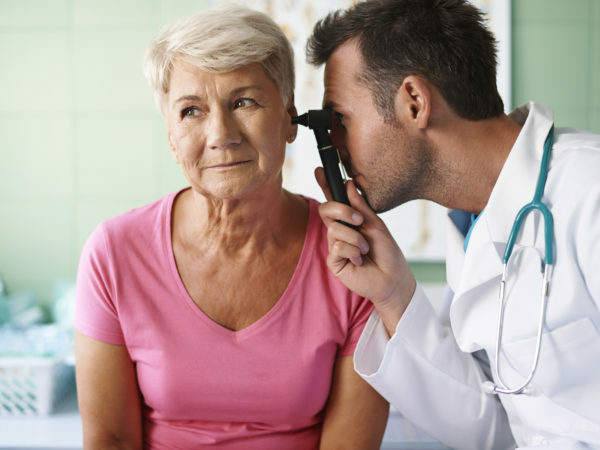 Rarely, if it persists and worsens, it can lead to a perforated eardrum, an acute ear infection, and even loss of hearing. The medical name if you damage the eardrum is ear barotrauma. Be sure to see your doctor if you develop fever, severe ear pain, or drainage from an ear. Your “ear popping” problem could stem from nasal congestion related to allergy, a sinus condition, or a chronic upper respiratory infection. In addition to sniffing, yawning or swallowing, you may be able to relieve the pressure by gargling with warm salt water, which can help clear the Eustachian tubes. Sucking on candy or chewing gum may also help. You also could consider using a nasal decongestant or an antihistamine before flying or other changes in altitude. Try to avoid flying when you have a cold or flare-up of an allergy. 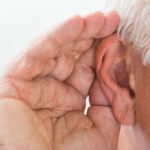 If the problem continues, see a physician who can examine your ear to see if the eardrum is pulled inwards, indicating unbalanced pressure. The doctor will also check to see if there is fluid behind your eardrum and if you have a perforated eardrum. The medical treatment for ear barotrauma involves decongestant nasal sprays, oral decongestants, or oral antihistamines. If an ear infection develops, your doctor probably will prescribe an antibiotic. A perforated eardrum usually heals on its own; sometimes, fluid behind the eardrum has to be drained. You may also want to consider cranial osteopathy to help relieve pressure changes or fluid in the middle ear. Or, acupuncture can be another effective treatment for sinus congestion.